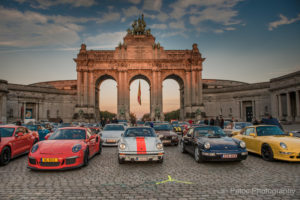 The Stars Rally Télévie is celebrating its 10th anniversary this year. City Mall decided to support this event full of passion and generosity by being one of its main sponsors. The principle: people bid to be the co-pilot of a star in the vintage or modern car of their dream. The goal is to give the biggest possible cheque to the FNRS to support cancer and leukaemia research.